With a little less than four weeks to go until the end of the Article 50 process, the UK remains on course to leave the European Union without a deal. 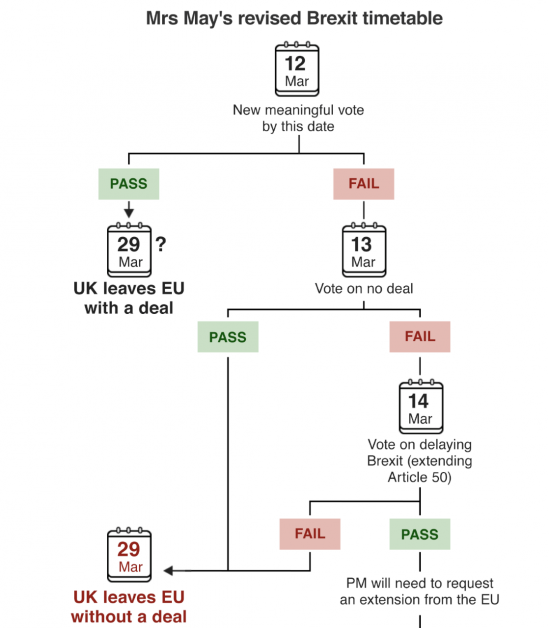 The past few days has seen some light shine through the cracks, with a path away from the March 29th cliff edge laid out as an option by the Prime Minister. Sterling rallied initially but has tired as the week comes to an end. So, what now? To speak to a member of the WorldFirst team about what the next four weeks may mean for you and your business, click here or email corporate@worldfirst.com.